It’s official. The current government in Israel is dissolving. An early election has been set for March 17, 2015. The nation is about to be plunged into yet another season of political campaigning. The question on the minds of just about everyone is who benefits most from this move, and, equally important, who thinks they will benefit, but might be sorely mistaken? Prime Minister Benjamin Netanyahu triggered the early election process by firing the two leading left-wing ministers in his cabinet—Finance Minister Yair Lapid and Justice Minister Tzipi Livni—in hopes that going to the polls would deliver a less fractious 20th Knesset, enabling him to form a government that, in Netanyahu's words, doesn't include an "internal opposition." 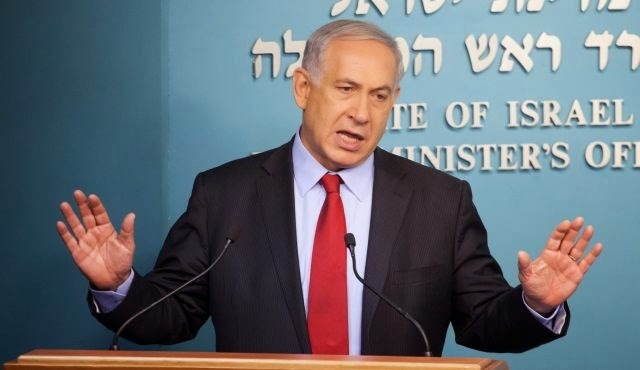 Surveys conducted by Channel 2 News and Channel 10 News shortly before Netanyahu's announcement showed that most Israelis blamed the prime minister for the early elections, but that a plurality of voters would choose his Likud party in the upcoming poll. According to both surveys, Likud will win 22 seats in Israel's 120-seat Knesset in March, making it easily the largest party. Next would be the right-wing Jewish Home faction with 17 seats, followed by the left-wing Labor Party (13), a new right-wing party headed by former Likud heavyweight Moshe Kahlon (12), and Foreign Minister Avigdor Lieberman's Yisrael Beiteinu faction with either 10 or 12 seats. Lapid's Yesh Atid party is predicted to fall from 19 to just nine seats, while Livni's Hatnua faction will win just four mandates, barely passing the 3.25 threshold to make it into the Knesset. If those numbers hold true, Netanyahu might get his wish of being able to form a majority coalition made up of only right-leaning parties that largely share his views on issues ranging from the peace process to economic reforms. There is much speculation that Jewish Home leader Naftali Bennett had a hand in bringing about the early election given that he and his party stand to gain the most. Jewish Home is the only party predicted to grow by more than 50 percent, and Bennett could then make a strong case for demanding the position of defense minister, putting him on track to one day take the prime minister's chair. Those on the left see a different outcome. "The state of Israel isn't stuck with Bibi anymore," declared Labor MK Stav Shafir, referring to Netanyahu by his popular nickname. Shafir continued by calling on left-wing voters: "This is our chance, the democratic camp in Israel led by the Labor party, to show that it is possible to do things differently. This is our time to bring the change that the public in Israel wants so badly." Earlier in the week, Shafir's boss, Labor Party leader Isaac Herzog, insisted that despite the current poll numbers, he will be the next prime minister of Israel. "I think today it is clear that I present an alternative to [Netanuahu]," he told Channel 10. "I believe I'll lead the next government." Further afield, US Secretary of State John Kerry said he hoped that whatever government comes next will help advance his own failed efforts to broker peace between Israel and the Palestinian Authority, a failure that Kerry and the Obama Administration largely blame on Netanyahu. Last, and certainly least, is Hamas, which tried to connect the dissolution of the Knesset to the summer's Gaza war, even though security issues played little-to-no role in the disputes between Netanyahu, Lapid and Livni. "The collapse of the Israeli coalition is another example of our victory and of Netanyahu's defeat in Gaza," declared ever-informative Hamas spokesman Sami Abu Zuhri.